We visited the Philips Healthcare Innovation Center in Pune last month, and spoke with Rekha Ranganathan, VP & Global General Manager, Mobile Surgery & Value Cardiology and Head of Healthcare Innovation Center at Philips. Philips is doing interesting R&D and Manufacturing work in the healthcare space in Pune, and it was good to learn about the details from her and the Philips team. Centers like the Philips HIC are good representatives of Pune’s strength in R&D and Manufacturing in core engineering. We hope that in the near future, Philips gets more actively connected with the tech and startup ecosystem in Pune. Can you give us an overview of Philips Pune? surgical procedures, including trauma, spine, and pain management. Developed at Philips HIC Pune. Philips has a long history in Pune, going back to the Philips Consumer Electronics Factory (established in 1971). The Philips Healthcare Innovation Centre (HIC) in Pune marks another milestone for Philips in India. It was set up in 2012. Philips Healthcare Innovation Center plays an essential role in Philips’ commitment to develop and produce meaningful products and solutions that help improve healthcare for people all over the world. In line with its strategy to expand the company’s global footprint, Philips commenced operations at its first green-field manufacturing facility for imaging systems in India, at Chakan Pune. HIC Pune is one of the six global Philips’ facilities devoted to manufacturing healthcare technology. It is specifically designed with manufacturing flexibility in mind so that it can quickly adapt to the ever-changing market needs and deliver quality healthcare products that meet international standards, across the globe. What types of healthcare technologies are being developed here at Philips Pune? Intuis is an advanced, entry level catheterization lab (cath lab), and is part of Philips’ strategy for extending access to affordable cardiac care in tier-II and tier-III cities in India. It is designed, developed and manufactured at the Philips Healthcare Innovation Center (HIC) in Pune, India. Since its inception, HIC Pune has launched six global products in the mobile surgery imaging & diagnostic space: Allura FC, Allura Centron, BV Vectra, Primary Diagnost, Mobile DiagnostOpta and Intuis. The last two being the latest releases from the unit. HIC Pune has successfully installed 1000 systems in more than 80 different countries, including countries from western European regions such as France, Italy, Austria, etc. The state-of-the-art facility integrates research & development, sourcing, testing, assembly and manufacturing under one roof. The team of experts and best-in-class talent from top educational institutes work closely together to bridge the gap between better technology and actual clinical needs. The team’s rich experience in medical product development ensures that the products are designed for quality and reliability. 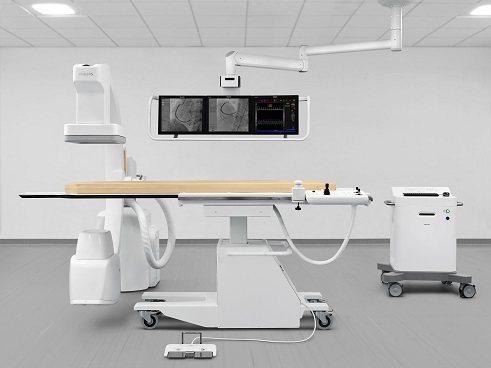 The centre manufactures both interventional and diagnostic X-Ray systems. How does Pune fit into Philips Healthcare’s global value chain (R&D, Manufacturing, Marketing)? We are global management hub for Mobile Surgery which is part of the image guided therapy group. We are also one of the few centers globally that caters to emerging and developed markets end-to-end. We are the headquarters for few of the product segments globally in DXR. This means we are responsible for the product strategy, technology roadmap, product program, new product development and life cycle maintenance. Our products are shipped to 80 countries around the world – more products shipped globally. 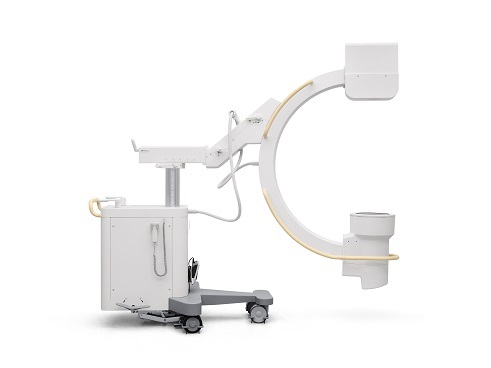 We will also be transferring the manufacturing of our premium mobile ‘C-Arm’ products from our factory in Best, Netherlands to Pune and evolving our current supply base here to meet the challenges of global quality, demand. What are you future plans for expanding the role, scope of Philips Pune? In the coming years, Philips HIC plans to expand its production capacity to get maximum efficiency from its factory in Chakan and will also look to widen its R&D portfolio, to bring in smart healthcare solutions for India and for the world , from its manufacturing base and the R&D centre in Pune. What kind of R&D, Tech, Manufacturing capabilities exist at Philips Pune? Can talk a bit more about specific tech capabilities, skill sets, labs, manufacturing set up? 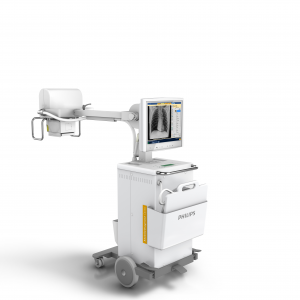 MobileDiagnost Opta is powerful compact mobile digital X-ray system is designed for all-around performance and fast return on investment. It moves through crowded spaces in the OR, ER, ICU, and general wards with freedom and ease, bringing digital imaging right to the bedside. Speed, power, performance, and affordability make MobileDiagnost Opta a good option for smaller clinics, hospital that require multiple mobile DR systems, or facilities looking for a single system to cover most application needs. Philips Pune has an ‘end-to-end’ System Development Capability with strong competence on System Architecture, Imaging Chain, Mechatronics, System Software and System Engineering. We have created 6 New Products and released to Global Markets within a span of 4-5 years. In the 5 years since inception, we have been granted 5 patents. We create a strong culture of innovation – we have an internal “Innovation Day” to encourage idea sharing; some of which also have potential for patents. We also work closely with our global organizations to participate in competitions globally and develop the innovation ecosystem. What challenges did you face in setting up this center? Availability of technical talents who had experience in ‘End-to-End’ Product development was a problem early on. Also, the creation of full eco system with Supply base, Supply Chain, Manufacturing and Innovation along with understanding of global customer requirements was a key challenge. What advantages do you see in the Pune tech and manufacturing ecosystem? Pune has a good core engineering and manufacturing ecosystem. According to latest Zinnov research Pune has the highest number of Core engineering R&D centers and there is a good eco system of suppliers located around Pune. Also the availability of good technology and engineering talent here. Hiring good system architects is a challenge. We are looking for systems architect with high-level thinking, who can have a global approach to product development. Is Philips India/Pune plugged into the startup ecosystem? Not yet. But we hope to explore the possible synergies. Forbes has an interesting overview of Pune services company, KPIT. The company, founded in 1990, soon evolved into one of the fastest-growing IT enterprises in the country. Revenues went from $10 million in 2002 to $100 million in 2007 to $444 million in 2014. Profits have more than tripled to $42 million in the last seven years. This performance has earned it a spot on the Best Under A Billion list for the second straight year. Next stop? It’s targeting $1 billion in 2017. In the auto sector the company works in a range of areas, including providing software for vehicle safety and developing technology to convert gasoline-powered cars into hybrids. For instance KPIT offers software that detects when a driver is distracted: turning away from the wheel, say, to look at a child in the backseat or out of drowsiness, elicits warning beeps. KPIT is also developing infrared systems for pedestrian detection. The company is also jazzing up things on the road. Take its work for Jaguar Land Rover’s sports car, the Jaguar F-type. KPIT has helped in the development of the software that deploys the spoiler at the rear of the car. Meanwhile, as KPIT forges ahead it contends with intense competition for software services from midcap IT companies like Mindtree and Hexaware as well as biggies like TCS and Cognizant. And when it comes to auto engineering services, it’s pitted against Ricardo, Bosch and niche German companies in auto electronics. Keeping up with the competition is hard work, and 12-hour days across the management chain are common. Read the full article – for much more details. Normally, PuneTech covers mostly software technology. However, today, we feel an exception is warranted. The Tata Nano, the world’s cheapest car, which could change the world, was designed entirely in Pune. On this occassion, Amit Paranjape, a proud Punekar (and also chief evangelist of PuneTech) wrote this article on his blog, about the achievements of Pune in automotive technology. It is reproduced on PuneTech with permission. Today, India and possibly the entire automotive world commemorate the customer launch of the ‘Nano’ – the world’s cheapest car. The brainchild of the Indian corporate legend Ratan Tata is finally available to the Indian consumer. I am sure that the Nano will raise a whole bunch of debates around urban traffic-management issues; but today is not the time for those. Today is a time for celebration! Pune too celebrates this historic occasion; but I am not sure how many Punekars realize the significance of Pune’s role in creating this and other automotive history in India. The Nano was completely designed and developed at the Tata Motors facility in Pimpri-Chinchwad Pune. The initial manufacturing will also be carried out here. 1950s-60s: One of India’s earliest and most iconic automotive brands – Bajaj Scooter. 1970s: India’s first moped (quite literally a motorized, pedal-based cycle that ran on a tiny 50cc engine) Luna. 1970s: One of the first (and most successful) Auto Rickshaws: Bajaj Auto-Rickshaw. 1980s: Manufacturing of India’s first automatic (non-geared) scooter: Kinetic Honda. 1990s: India’s first fully indigenous car: Tata Indica. 2008-09: Launch of world’s cheapest car: Tata Nano. You can also add the development of India’s most popular Truck-Line to this list. Pune also leads the nation in various automotive suppliers, ancillary units and industrial equipment. India’s biggest, one of the most innovative and world’s 2nd largest forging company – Bharat Forge has been at the forefront of this pack. India’s largest Diesel Engines & Generator Manufacturer – Cummins has been active in Pune’s industrial landscape since the 1960s. Research and Software for Automotive Engineering also have strong presence in Pune. ARAI (Automotive Research Association of India) based in Pune, is the premier automotive research institute in India, that is responsible for research and testing & certification of every vehicle model on Indian roads. I am confident that in the coming decades, Pune will continue to innovate and be at the forefront of automotive engineering in India, and the world. So now remember – next time you see a Nano on Pune Streets (traffic jams not withstanding), it is as ‘Puneri’ as the ‘Puneri Pagdi’ or ‘Chitale Bakarwadi’! Pune is a hotbed of activity for CAD Software – both, for users as well as developers. We asked Yogesh Kulkarni, who has more than a decade of experience in this industry to team up with Amit Paranjape to give PuneTech readers an overview of this area. CAD is defined as the use of computer technology to aid in the design of a part, a sub-assembly, or an entire product. Design can include Technical Drawings with Symbol based Representations, Visualization, 3D Rendering, and Simulation. Note, the term ‘Product’ could range from a small Widget, to an iPOD, too a large Building. Components of CAD technologies have also found widespread use in somewhat unrelated fields such Animation & Gaming. Consider a World-War II era vintage B-17 Flying Fortress bomber; probably the only bomber ever to manufactured on an assembly line. How was it designed? Each and every part was painstakingly drawn on a drafting board. The various components and sub-assemblies were represented through various engineering drawing conventions. Yet the true visualization of how all these complex pieces fit and worked together, was left to that of the top engineers’ minds. And what about the complex 3-D shapes such as the wings? How were they designed and tested? Actual wooden models had to be created for this to visualize their shapes and test out their air-flow characteristics in wind tunnels. You can think of an army of literally hundreds of Draftsmen working on various pieces of this complex machine. Cars were designed the same way. ‘Machine Designing’ had elements of ‘Art’ in it. This style of designing was with us until recently. It’s only in the past 2-3 decades (even more recent in many SMEs in India) that computers have started replacing these ubiquitous ‘A1’ sized drawing boards that ruled the designers shop for so many decades. Fast forward to today, and now let’s look at how Boeing’s latest 787 Dreamliner is being designed. This truly 21st century aircraft is built with composites instead of the traditional aluminum structures, and a whole bunch of other interesting innovations. All put together, Boeing claims to improve fuel efficiency by over 20% compared to other modern day commercial airplanes. All the designs of the Dreamliner are done using CAD. From the smallest widget to the entire airframe, the drawing, designing, assembling, and visualization is done on computer monitors. These designs are also evaluated for their validity and performance via Computer Aided Engineering (CAE). CAE works in conjunction with CAD to simulate and analyze various mechanical and other aspects of the design. Similarly, Computer Aided Manufacturing (CAM) works closely with CAD to help manufacture the complex parts on Computer Numerically Controlled (CNC) machines. CAD has evolved a great deal over the past few decades along with the rise in computing and graphics power. Earlier CAD solutions were simple 2-Dimensional solutions for drawing machines and structures. These still represented a big step forward over drawing boards in terms of ability to save, edit and reuse drawings. Initial 3-Dimensional solutions were based on ‘wireframe models’ and ‘surface modeling’. Loosely speaking, these represented the outer edges and the external surfaces of a solid object in mathematical terms. Real 3-D capability involves representing the real object as a solid model. Mathematically, this involves a series of complex equations and data points. This had to wait for computing power to catch-up. Only in the late 1980s did this power become available to a wider engineering community via desktop workstations. At a high level, you can think of a CAD package to have 2 important pieces: 1) The backend mathematical engine and 2) The front-end graphical rendering service. Earlier CAD programs were primarily written in FORTRAN. Present day, CAD packages are typically developed in C or C++. Rendering was not a strong point of the earlier solutions. However over the past 2 decades, life-like rendering and simulation (rotation, motion, etc.) have become a reality. This capability has also taken this technology into the Animation & Gaming fields. CAD works closely with other allied areas such as CAE (Computer Aided Engineering), CAM (Computer Aided Manufacturing), as well as PLM (Product Lifecycle Management). In fact, CAD/CAM or CAD/CAE are often used together to describe the entire workflow. In this section we will take a brief look at these allied areas. In future, PuneTech will feature more detailed and specific articles about each of these areas. Computer Aided Engineering is the use of computer technology to support engineering tasks such as analysis, simulation and optimization. These tasks are often performed by the engineer in close synchronization of the actual CAD activities. An example of ‘Analysis’ could be leveraging mathematical techniques such as ‘FEA/FEM’ (Finite-Element-Analysis/Finite-Element-Method) for designing a safe Bridge. ‘Simulation’ can be used to study how a mechanical assembly with various moving parts work together, on a computer screen, before actually building it. ‘Optimization’ can build on top of Analysis and Simulation to come up with the ‘most optimal’ design that meets the designer’s requirements. ‘Most Optimal’ could mean least weight, smallest number of parts, least friction, highest reliability, etc. depending on the designer’s primary objective. Computer Aided Manufacturing is the use of computer technology to manufacture complex parts on automated machine tools. These machine tools are commonly referred to as ‘CNC’ or ‘Computer Numerically Controlled’ machines. Here’s a simple example. Let’s say an engineer has created a complex 3-D shape consisting of various contours for a new car’s exterior. The exterior parts are made by die-stamping in huge presses. The ‘dies’ are essentially molds made of hard metal. Principally, they are similar to a clay mold that is used to create various artifacts out of Plaster-of-Paris. These metal dies themselves have to be created by machining a ‘die-block’ to create a solid mirror image of the final part. This complex 3-D shape needs a sophisticated machine tool that can machine (cut/drill/shape) metal across multiple (3 or more) dimensions. Controlling the motion of these machine tools is similar to controlling a robotic arm. CAM packages convert the solid designs in CAD packages into a set of coordinates and path instructions, along with desired speeds & acceleration/deceleration profiles for the machine tools, and communicate these instructions to the CNC machines. PLM or ‘Product Lifecycle Management’ is not directly related to CAD like CAE or CAM. Instead, PLM as the name suggests focuses on managing the entire lifecycle of designing activity across multiple groups and departments in a company. A complete design is not limited to the machine designer. Various other players come into the picture. These include Purchasing Managers who have to source design components and sub-assemblies from vendors; Cost Accountants who want to keep a tab on the overall material and manufacturing costs of a design, Compliance Experts who want to review the design for various agency compliance requirements, etc. Similarly there are requirements to maintain the design as it goes through various versions/upgrades through its life-cycle. PLM enables collaboration across different departments on the key aspects of the design. PLM also enables collaboration between designers in terms of sharing parts data, etc. AutoCAD® by Autodesk is one of the most popular CAD packages out there. It focuses more on 2-D drawings such as part drawings, architect plans, electronic circuit designs, etc. Packages like Catia® by Dassault, NX® by Siemens-Unigraphics, Pro/E® by Parametric Corporation are popular 3-D Solid Modeling Solutions. These solutions find wide use in Automotive, Aerospace and Other Manufacturing Industry Segments. Due to the strong industrial and manufacturing base, Pune not only contains some of the biggest users of CAD/CAM software, but it also hosts some of the biggest developers of CAD/CAM software in the world. Leaving the sobriquets such as ‘Detroit of East’ aside, it is safe to say that Pune is indeed the primary automotive hub of India. Pioneering Indian automotive companies such as Tata Motors, Bajaj Auto, Bharat Forge and Kirloskar Oil Engines are headquartered here. Along with these, a number of top multi-nationals such as Mercedes-Benz, General Motors and Volkswagen are also based here. These big auto-majors, along with other industrial powerhouses such as Cummins Diesel have created a strong industrial manufacturing ecosystem in Pune. These OEM (Original Equipment Manufacturers) in turn drive requirements for sub-assemblies and components to Tier-1 and Tier-2 vendors. A large number of small and med-sized industrial automation companies have also sprung up in Pune. These companies design and develop various factory automation and material handling solutions for automotive as well as other industries. Designing activity is important at all levels, in all these companies – big or small. As a result, Pune has become probably the biggest user of various 2-D and 3-D CAD applications and other associated CAE/CAM applications, in India. However, the ecosystem for CAD doesn’t stop here! Given Pune’s dominance in Information Technology and the huge CAD users’ base, many CAD/CAM/CAE software companies worldwide have found Pune to be the natural choice for their R&D and Service Centers. All CAD majors described in the earlier section have some development presence in Pune. Pune also has software service companies focusing on this area, such as Geometric Systems. Amit Paranjape is one of the driving forces behind PuneTech. He has been in the supply chain management area for over 12 years, most of it with i2 in Dallas, USA. For more details, see his PuneTech profile. ‘Maha’ DeshMart is a large (fictional) supermarket chain with a pan-India presence. Amit Paranjape, our resident expert on Supply Chain Management, discusses some of their management strategies and best practices. Special emphasis is put on the importance of ‘Information Technology’ and how it enables ‘Maha’ DeshMart to run one of the most efficient Supply Chain & Operations. Benchmarking is also done with global industry leaders such as Wal-Mart. 2008 represented a challenging year and we will take a look at how specific Supply Chain Processes and the other aspects of Retail Operations react to the global economic challenges, and can still deliver on the overall goals and objectives of the company. This fictional story about the fictional ‘Maha’ DeshMart is in continuation to our series of articles on Supply Chain Management. ‘Maha’ DeshMart as the name suggests stands for everything ‘large’ (‘Maha’ in Hindi / Marathi / Sanskrit = ‘Large’ or Huge’). Some say ‘Maha’ also stands for ‘Maharashtra’ the home state of the founder, Raj Deshpande. ‘Desh’ comes from the founder’s last name. This chain is also often referred to as simply ‘DeshMart’. Ever since opening its first store in Pune about 15 years back, it has gone through a rapid expansion and now had a presence in every major Tier 1 and Tier 2 city in India, with aggressive plans to expand to Tier 3 cities as well. DeshMart’s vision is to be the most preferred shopping destination for the Indian consumer; period. To achieve this, they want to have the widest choices, the best prices, and the most comfortable shopping experience for their consumers. It is no secret that the DeshMart founder was inspired by world leader in retail, Wal-Mart, and its philosophy of scale and constantly driving down costs. The Wal-Mart business model is actively pursued here in their Pune headquarters, as well as in all their stores and throughout their supply chain. The management team though has taken a series of strategic decisions to ‘Indianize’ the model to suit the local context. For example, while ‘ELDP’ (Every Day Low Prices, as opposed to Promotions) was the generally preferred strategy, some key exceptions were made based on local preferences. The other one is to enshrine a ‘Neighborhood Kirana Store’ owner type mentality into the Store Manager and his team. In India, the small neighborhood ‘Kirana’ (or grocery) store is run by a family with the patriarch serving as the CEO, Head of Operations, and all other roles combined. The rest of family fills up various other support roles. One thing this model provides is an ‘amazing’ ownership of the business and the consumer. DeshMart wanted its Store Managers to think and act, like the Kirana Store Owner. Metrics have been suitably adjusted to encourage the right behavior; however the core difference has been through intense focus on Hiring & Recruitment. Extraordinary importance is put on finding the right talent for these critical positions. Another key Wal-Mart strategy that has been espoused by DeshMart is focus on Information Technology. At DeshMart, IT is considered to be one of their biggest strategic differentiators. They don’t want to rely on any one or even a few different application software vendors for their business process applications. Instead, they have followed the example of Wal-Mart, Dell, FedEx, and Toyota and have taken complete ownership of their IT Applications & Infrastructure. These great companies have supported their unique business processes by designing and developing their own IT solutions where necessary. Here again, DeshMart put lot of emphasis on hiring the right CIO (Chief Information Officer). In fact in the early 1990s, when this position was virtually unknown in India and in many other places around the world – they had a CIO and his senior team in place. The IT Department’s mission is to deliver the requisite data and decision making capabilities at the disposal of every DeshMart employee throughout the organization, in order to deliver on the overall goals & objectives of the company. Organizationally, IT was aligned along with the business process teams in such a way that for every project there was no ‘IT vs. Business’ division. The combined team had the singular goal to achieve the necessary process improvement metric. The 2008 Global Economic Slowdown was not predicted by even the top experts on Wall Street. Thus, even the best of the supply chain leaders didn’t have any ability to accurately forecast the impending shortfall in demand. The only way for a company to react to something like this was through some rapid adjustments to their plans, and execute as efficiently as possible. The first signs of the slowdown were visible too late for planning the 2008 season. In the following sections, we will look at how DeshMart’s IT and Business Processes reacted to this challenge. Let us take a step back here and understand how large multi-product category retailers worldwide do their long term planning. For many retailers, especially for those heavily weighted towards fashion segment, the holiday season (last 5-6 weeks of the year, in the US – from Thanksgiving weekend to Christmas/New Year) could account for anywhere from 20% to even 50% of their annual revenues. In India, the holiday season traditionally runs from Diwali (The Festival of Lights), in October/November to the December End wedding season. Similar holiday season spikes are also observed in the Indian market. To react to this end of the year demand, retailers start planning a year in advance. The overall merchandizing decisions (deciding what products to buy and position in the stores) are the first step. This process is called as ‘Merchandize Planning’. A ‘top down view’ is often a starting point, where a revenue forecast is broken down across different product groups (commonly referred to as ‘categories’) and then finally to the individual product (e.g. a pair of pants). Similarly, a geographic top down view is taken where the global revenue number is broken down by regions and eventually down to the store level. A ‘bottom up’ view can be taken based on actual product level forecasts. Often times, ‘middle-out’ view is also done at one of the intermediate points in the hierarchies. All these views are synchronized closely before arriving at final numbers and targets. This process sounds straight forward, but is complicated by the sheer size of the retail problem. Imagine doing these aggregations for 100,000 products! (A typical Wal-Mart stocks well over 200,000 products). Now add the store dimension (Major US chains have 1000s of stores), and you will get the idea of the scale problem. As a result, merchandize planning drives some challenging scalability requirements for databases and servers. Grouping stores based on similar characteristics. Selecting what store groups have what products Optimization Algorithms for identifying the right store groups (clusters). In case of DeshMart, the problem is not as massive as Wal-Mart, but still quite big. At present, DeshMart has over 500 stores with anywhere from 10,000 to 50,000 products in a given store. Initially, at the beginning of the year, they had done the merchandize planning assuming a specific forecast value for the end of the year period. Now, they need to alter it, and propagate it down the hierarchy. This adjusts the forecast for individual products. This will in turn affect the purchasing decisions. In some cases (as it turned in DeshMart’s case…) it is too late to do this, since long lead time items are already on order. In such cases, various promotions/ discounting strategies are worked out to push the excess merchandize out. Note that given DeshMart’s unique customer loyalty and cost advantages, a down market can also be an opportunity. For example, Wal-Mart actually had more sales compared to previous quarters in the 2008 slowdown since the cost conscious consumer from other competing stores increasingly moved their shopping to Wal-Mart. Hence while adjusting the merchandize, DeshMart also considered this aspect as an input. Once the product level forecast is available, the next challenge in a multi-store retail environment is deciding what stores carry what products. Not all DeshMart stores are the same. They differ by types of cities, as well as location of stores within cities. The typical product mix of a store in Central Deccan Gymkhana area of Pune is different from that in the Hadapsar suburb. A Mumbai store would differ in its product selection than say, a store in Indore. These product selections are referred to as ‘Assortments’ and planning them is called as ‘Assortment Planning’. Here too, scale is a big issue. Various algorithms are used to group stores based on their commonalities into groups or ‘clusters’. Then assortment decisions are made at the cluster level. When the economic down turn hit, not only did the merchandizing decisions change, but also certain assortments by stores. To give an example stores in up market areas were now stocked with certain products normally allocated to more middle income areas. DeshMart was able to make these changes quickly by redoing certain clustering and changing allocations. In both merchandizing and assortment planning IT plays a key role in providing the planners with a key capability to make fast and accurate decisions, while dealing with a huge amount of data. Handling large volumes of data, large scale aggregations and dis-aggregations, scenario planning & what-ifs are also important IT requirements for these business processes. If ‘Supply Chain Management‘ is loosely defined as ‘Getting the right product at the right place, at the right time’; then ‘Logistics & Transportation’ is one of the core execution pillars of realizing this. Logistics deals with the overall handling, distribution and shipment of products through the supply chain, while transportation is focused more on the physical shipment of goods and products. In a sense transportation can be considered as a subset of logistics, but often times these two terms are used interchangeably. For large global retailers, the transportation problem typically begins at their warehouses. Product manufacturers are responsible for shipping material into these warehouses. (Note there are some exceptions such as Vendor Managed Inventory & Direct Store Shipments, but we will not discuss those here…). The primary goal of efficient logistics & transportation planning is to get the product to the store at the right time, while minimizing cost. Warehouse management – ensuring smooth and efficient inflow and outflow of products is the first step. One relatively new technology that is being used in some places is ‘RFID’ (Radio Frequency ID). These are small tags (like a semiconductor chip) that are attached to stocking pallets, cases or other products that need tracking. A radio frequency based reader then ‘reads’ from this tag. This helps in easy tracking, sorting and distribution of products in a warehouse, while minimizing manual intervention. Some of these warehouses span many acres and have 1000s of pallets, miles of conveyor belt and typically handle over 100,000 individual products. Hence automated tracking is very important. RFID systems also need efficient large scale data acquisition and storage systems to handle this high volume data. Truck load planning and truck routing are two important pieces of transportation planning. The challenge in truck load planning is filling up the truck to a full truck load with multiple products, while minimizing excessive shipments to the store (Note – It is always easy to ship a full truck load, if ‘stuffing’ it with unnecessary excess stuff is allowed…). The challenge comes in when this restriction of not shipping too much excess products comes in. Remember, excess product takes up excess space, as well as locks-up excess capital. This is bad for the overall financial performance. Various optimization based approaches that trade-off between cost of shipping early, vs. sending partial truck loads (thus trading off between excess inventory carrying costs vs. excess transportation costs…) are used to figure out the right loading mix inside a truck. In case full truck loads are not possible, then smaller shipments are loaded in, to be delivered to different destinations (typically different stores). This is called as ‘LTL Shipments’ (LTL = Less Than Truck Load). Here the challenge is to come up with a efficient truck route so as to minimize the distance traveled. Hence if the DeshMart warehouse in Vashi, New Mumbai is shipping LTL shipments to the suburban stores in Bandra, Andheri and Mulund, the optimized route could consist of Vashi-Mulund-Andheri-Bandra. This seems relatively straight forward, but there are a lot of other constraints in the real world. There are some loading constraints, precedence constraints, traffic constraints, regulatory constraints that can influence the most optimal route on a map. Also, for a large retailer like Wal-Mart this process has to be done for 1000s of trucks every day. The IT systems have to deal with managing these whole sets of transactions as well as the decision making processes. They need efficient data integration with the IT systems of external logistics providers as well as suppliers. In DeshMart’s case, there are also a series of local constraints that are peculiar to the Indian market. Shipping times in India can be fairly non-standard as compared to that in the US. Most truck operators are not organized into big companies. Regulatory requirements like Octroi (a local city tax) can add delays to the process. Enforcement of driving standards/time can also be a problem. Hence similar to Wal-Mart, DeshMart had made a strategic decision to own a private fleet of trucks for their transportation needs. This enables them with greater control over the whole process. As we saw earlier, the impact of the economic slowdown led to last minute adjustments in assortments. Such changes, as well as those coming from sudden surges in demand can be better handled with a private fleet. DeshMart’s trucks also use the latest GPS based navigation and logging technology that enable the logistics master controller to keep exact track of each shipment in real time. IT enabled dynamic logistics & transportation business processes helped DeshMart to better respond to the challenges of the ‘real’, ‘unplanned’ world, while keeping transportation costs at minimum. Store Level Replenishment & Inventory Management deals with calculating the right levels of products that are maintained at the individual stores. Too few and you run the risk of running out of stock, often resulting in lost sales and unhappy customers. Too many, and you take up excess space as well as occupy excess working capital. Specialized replenishment and inventory management IT systems can react to daily fluctuations in the demand signals and pre-calculated forecasts at the store level and identify the right quantity of each product that needs to be shipped to the store. A variety of algorithms are used to do this, and like all other retail problems – scale is a big challenge. Imagine planning 100,000 products across 1,000 stores. The number of products-stores combination goes into millions! Now consider that this planning has to be done for the forecasted demand for the time horizon of next 2 weeks. Each day represents a new demand entry. Thus this further increases the problem size by an order of 14! Daily demand fluctuations are usually computed based on ‘POS’ (Point-Of-Sale’) data. This data is often directly generated at the systems at the point where the sale takes place (e.g. cash register). POS Systems collect validate and transfer this data to the Replenishment System. Through efficient store replenishment, DeshMart can make sure that they have the right product at the store, while keeping their costs low. The same cannot be said about their competitors! In fact, walk into any retail store today in India, and chances are you would find many of your preferred items to be out of stock. This goes a long way in generating the customer loyalty that DeshMart has been able to create over the years. What many of the new retail chains don’t seem to realize today (and what some ‘Neighborhood Kirana Stores’ do very well…) is that it is not the fancy layouts, air-conditioning, jazzy promotional material, etc. that attracts the customers! It is being repeatable and consistent and always having the fast moving goods in stock at all times – this is what the customer ultimately cares about! Store Operations for DeshMart represents a great challenge and a terrific opportunity. Store operations in India can be quite different from that seen in the US or other developed countries. To start with, the store footprints are much smaller. The assortments are also smaller, but there is a lot of localization. For example, a large percentage of the assortment of a store in Chennai will differ from that in New Delhi. Managing store layouts and displays and locating the right stuff in the front, at the end aisles is very important. DeshMart uses CAD like software capabilities to do ‘Planograms’ (Planograms refer to the designing of products placement on the various shelves, while accounting for display priorities as well as the products’ volume dimensions). A fairly unique service in India is ‘home delivery’ service, provided by many grocery retailers. Ordering is either done over the phone or in person. A store level order entry and tracking system captures the order and coordinates the home delivery. DeshMart will be the first retailer in India to launch a completely web-based & call-center based ordering system, starting early next year. Here the order will be accepted and promised centrally and delivered from a central warehouse or a nearby store. This ‘hybrid’ web and brick and mortar model will be fairly unique not only in India but globally as well. Customer loyalty is key for DeshMart. They have implemented a sophisticated customer loyalty program. A unique card/id number is assigned to a customer and rewards are given based on amount of purchase, as well as other special criteria. DeshMart collects, analyzes and mines customer buying preferences in their centralized business intelligence system and comes up with pricing and product placement strategies. Customer specific targeted emails and other specials are also managed through this system. For example, DeshMart’s data mining system can literally predict what special brand hair oil Mrs. Shah from Ahmadabad is likely to buy and at what frequency – and automatically send specials (or alerts) for the same! All these entire store-centric systems ensured that even when the consumer spending all over India was going down, DeshMart still had their loyal customer continue to find and spend on the right product mix at their stores. In retrospect, the 2008 economic slowdown turned out to be a blessing in disguise for DeshMart. Through their superior business processes, management teams, and IT systems – they were able to not only react effectively to the changing market dynamics; they were also able to grab even higher market share. This same slowdown saw big troubles for many of DeshMart’s competitors, some of which like ‘Bharat Bears Mart’ actually went out of business. Focus on the customer – learn from the neighborhood Kirana Store. Focus on costs at all costs – learn from the world leader, Wal-Mart. Focus on leveraging IT for business – learn from industry leaders. Are the Retail Stores Playing Us? Have you ever wondered how much planning and co-ordination it takes to roll out Indicas smoothly off the Tata Motors assembly line? Consider this – A typical automobile consists of thousands of parts sourced from hundreds of suppliers, and a manufacturing and assembly process that consists of dozens of steps. All these different pieces need to tie-in in an extremely well synchronized manner to realize the end product. How is this achieved? Well, like most complex business challenges, this too is addressed by a combination of efficient business processes and Information Technology. The specific discipline of software that addresses these types of problems is known as “Supply Chain Management” (SCM). Pune has a strong manufacturing base and leads the nation in automotive and industrial sectors. Companies such as Tata Motors, Bajaj Auto, Kirloskar Oil Engines, Cummins, and Bharat Forge are headquartered in Pune. The manufacturing industry has complex production and materials management processes. This has resulted in a need for effective systems to help in decision making in these domains. The discipline that addresses these decision making processes is referred to as ‘Advanced Planning & Scheduling’ (acronym: APS). APS is an important part of SCM. This article briefly discusses some of the basic concepts of SCM/APS, their high-level technology requirements, and mentions some Pune based companies active in this area. Note, given Pune’s manufacturing background, it is no accident that it is also a leader in SCM related software development activities in India. Supply chain management (SCM) is the process of planning, implementing and controlling the operations of the supply chain as efficiently as possible. Supply Chain Management spans all movement and storage of raw materials, work-in-process inventory, and finished goods from point-of-origin to point-of-consumption. SCM Software focuses on supporting the above decision making business processes that cover demand management, distribution, logistics, manufacturing and procurement. APS specifically deals with the manufacturing processes. Note, SCM needs to be distinguished from ‘ERP’ that deals with automating business process workflows and transactions across the entire enterprise. ‘Decision Making’ is vital in SCM and leads to a core set of requirements for SCM software. Various decision making and optimization strategies are widely used. These include Linear Programming, Non-Linear Programming, Heuristics, Genetic Algorithms, Simulated Annealing, etc. These decision making algorithms are often implemented in C or C++. (In some cases, FORTRAN still continues to be leveraged for specific mathematical programming scenarios.) Some solutions use standard off-the-shelf optimization packages/solvers such as ILOG Linear Programming Solver as a component of the overall solution. Consider a typical process/paint manufacturer such as Asian Paints. They make thousands of different end products that are supplied to hardware stores from hundreds of depots and warehouses, to meet the end consumer demand. The products are manufactured in various plants and then shipped to the warehouses in trucks and rail-cars. Each plant has various manufacturing constraints such as 1) a given batch mixer can only make certain types of paints, 2) to reduce mixer cleaning requirements, different color paints need to be produced in the order of lighter to darker shades. Now, to make it more interesting, there are many raw material constraints! Certain raw materials can only be procured with a long lead time. An alternative raw material might be available earlier, but it is very expensive! How do we decide? How many decisions are we talking about? And remember, these decisions have to be synchronized, since optimizing any one particular area in isolation can lead to extremely bad results for the other, and an overall sub-optimal solution. In optimization language, you can literally end up dealing with millions of variables in solving such a problem. SCM software also has a fairly specific set of GUI requirements. A typical factory planner will deal with thousands of customer orders, machines, raw material parts and processing routings. Analyzing and acting on this information is often challenging. A rich role based user workflow for the planner is a critical. GUIs are usually browser-based with custom applets wherever functionality richness is needed. In very specific cases, ‘thick’ desk-top based clients (typically developed in Java) are also required for some complex workflows. Alerts and problem based navigation are commonly used to present large amounts of information in a prioritized, actionable format. Rich analytical OLAP type capabilities are also required in many cases. Integration is an important part of SCM software architecture. SCM software typically interacts with various Enterprise IT systems such as ERP, CRM, Data-Warehouses, and other legacy systems. Many inter-enterprise collaboration workflows also require secure integration with customer/partner IT systems via the internet. Both batch and real-time integration workflows are required. Real-time integration can be synchronous or asynchronous. Batch data can sometimes (e.g. in Retail SCM) run into terabytes and lead to batch uploads of millions of lines. Loading performance and error checking becomes very important. Consider a computer manufacturer such as Dell. They are renowned for pioneering the rapid turnaround configure-to-order business. Dell assembly plants sources material from different suppliers. In order to get maximum supply chain efficiencies, they actively manage raw material inventory levels. Any excess inventory results in locked-in capital and a reduction in Return on Investment (ROI). In order to achieve effective raw material inventory management, Dell needs to share its production and material requirements data with its suppliers so that they can supply parts at the right time. To achieve this, there needs to be a seamless real-time collaboration between the Dell procurement planner and the suppliers. Data is shared in a secured fashion via the internet and rapid decisions such as changes to quantity, selecting alternate parts, selecting alternate suppliers are made in real-time. Most of the large manufacturing companies in Pune leverage some kind of SCM software solutions. These are typically sourced from SCM software industry leaders such SAP, i2 and Oracle. In some cases, home grown solutions are also seen. Many small and med-sized software product companies in Pune are focused on the SCM domain. Some offer comprehensive end-to-end solutions, while others focus on specific industry niche areas. Note that by its very nature, SCM processes are fairly complex and specifically tailored to individual companies. As a result many SCM products are highly customizable and require varying degrees of onsite development. This leads to software services as an integral part of most of these SCM product companies. Pune based FDS Infotech has been developing SCM and ERP software suite for over a decade. They have a wide customer base in India. A representative example of their solution can be seen at Bharat Forge. Here their SCM/APS solution is being used to maximize the efficiency of the die shop. This is achieved through better schedule generation that considers all the requisite manpower, machine and raw-material constraints. Entercoms, also based in Pune, is primarily focused on the Service Parts Management problem in SCM. Their customers include Forbes Marshall and Alfa-Laval. SAS, a global leader in business intelligence and data-analytics software also develops various SCM solutions, with specific focus on the Retail segment. Their Retail solution focuses on a wide variety of problems such as deciding the right merchandizing strategies, planning the right assortments for the stores, forecasting the correct demand, etc. They boast a wide global customer base. Their Pune R&D center is involved in multiple products, including their Retail solution. In addition to these three, many other small SCM software companies in Pune work on specific industry niches. Amit Paranjape is one of the driving forces behind PuneTech. He has been in the supply chain management area for over 12 years, most of it with i2 in Dallas, USA. He has extensive leadership experience across Product Management/Marketing, Strategy, Business Development, Solutions Development, Consulting and Outsourcing. He now lives in Pune and is an independent consultant providing consulting and advisory services for early stage software ventures. Amit’s interest in other fields is varied and vast, including General Knowledge Trivia, Medical Sciences, History & Geo-Politics, Economics & Financial Markets, Cricket.